Editor's note: This is one in a series of stories and opinion pieces surrounding the Aspen Security Forum. which took place from July 17 to 20 in Aspen, Colorado. Security Clearance was a media sponsor of the event. A former commander of U.S. Central Command said the United States needs to determine an endgame in Syria before it takes further military action in the beleaguered country. WASHINGTON (CNN) - A U.S. Navy aircraft carrier will head to the Persian Gulf four months earlier than scheduled as part of a Pentagon plan to maintain a beefed-up U.S. military presence in the region, according to Pentagon officials. The USS John C. Stennis will set sail in September and remain overseas until February 2013. 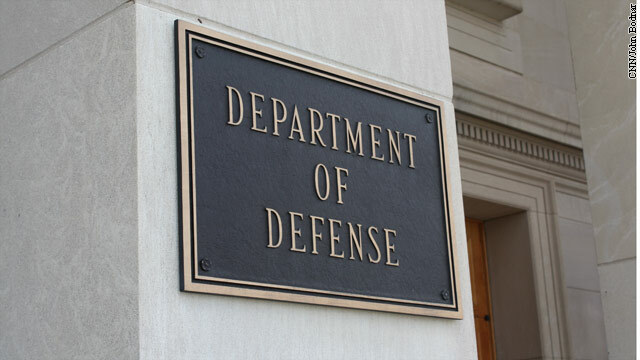 As CNN's Security Clearance first reported last week, the Obama administration and military had been debating whether to keep a second carrier in the region beyond a 2010 mandate that was set to expire in September. Defense Secretary Leon Panetta approved the deployment at the request of Gen. James Mattis, head of the U.S. Central Command, which oversees U.S. military operations in the Middle East, Pentagon spokesman George Little said Monday. The Stennis had been scheduled to deploy to the Pacific Command area. The action essentially keeps two aircraft carriers in the region for the next several months. 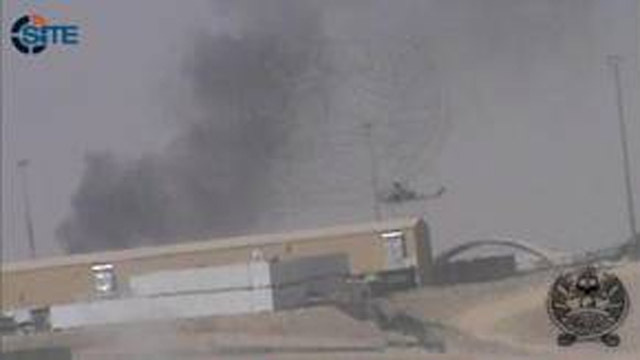 One option that had been before Panetta would have kept two carriers on station until the end of 2013, but he approved the more limited action with the option of reviewing an extension in the spring. In addition to the Stennis, the USS Mobile Bay will join it, as well as the destroyer Paul Hamilton which will deploy straight to the Gulf instead of spending time in the Pacific region. Pentagon press secretary George Little said the deployment was not a direct response to the crisis in Syria or rising tensions with Iran. "This is about a wide range of security interests," he said. The military is "mindful of the challenges posed by Iran, but ... this is not a decision based solely on the challenges posed by Iran," Little said. File photo of the USS Ponce before it was refitted for long-term duty in the Persian Gulf. A U.S. warship designed as a floating base for naval special forces is scheduled to transit through the Suez Canal for the first time as early as Friday, Navy officials say. The USS Ponce, an amphibious transport ship, recently finished a complete overhaul that now has it configured to operate as a floating staging platform for the military. 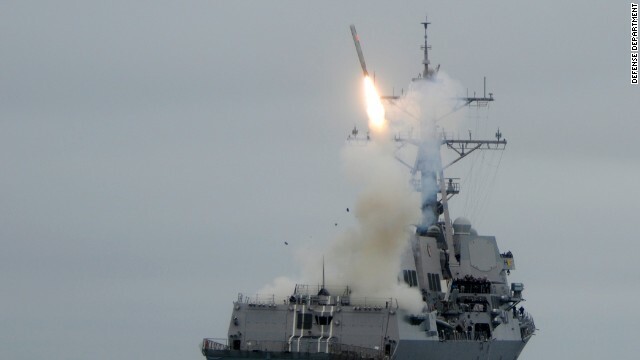 It is being launched into the oil shipping lanes at a time of heightened tensions across the region, U.S. Navy officials told CNN. 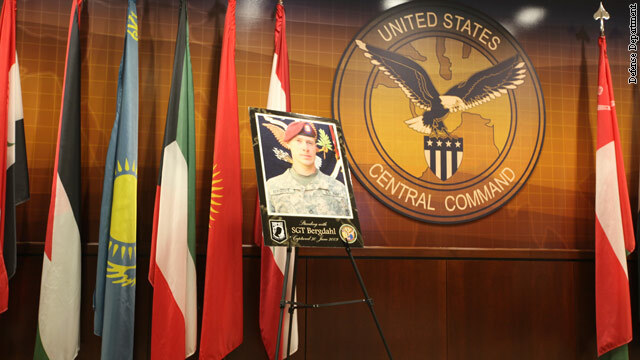 A poster of the American soldier being held captive by the Taliban since June 2009 is on display in the Defense Department's CENTCOM command center. Gen. Martin Dempsey, Chairman of the Joint Chiefs of Staff, mentioned the display of Army Sgt. Bowe Bergdahl, during a briefing with reporters Thursday, to highlight how the soldier's fate is always on the military's mind. "I can assure you that we are doing everything in our power, using our intelligence resources across the government, to try to find, locate him," General Martin Dempsey said at a Pentagon press conference. Top U.S. and Pakistani military officials held face-to-face meetings in Islamabad on Wednesday in the first high-level talks since NATO airstrikes killed two dozen Pakistani soldiers in November. Gen. James Mattis and Gen. John Allen discussed "bilateral matters, professional interests and the emerging geo-strategic situation of the region" with Gen. Khalid Shameem Wynne, the chairman of Pakistan's joint chiefs of staff, according to a statement from the Pakistani military. Mattis is the chief of the U.S. Central Command, while Allen commands the International Security Assistance Force in Afghanistan. The meeting lasted "for some time," the Pakistani statement said. The U.S. military is still not clear where it would hold al Qaeda's most-wanted terrorist should he be caught, U.S. military officials said Tuesday. 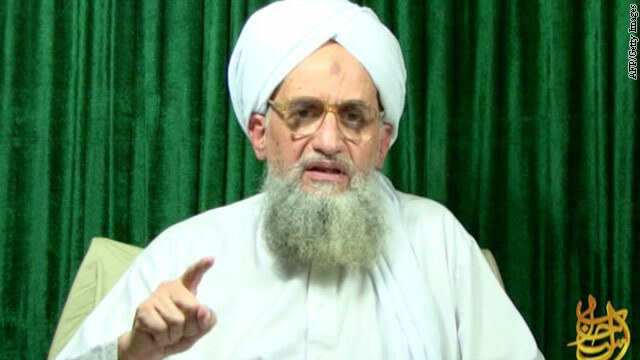 Following up on a question asked of Adm. William McRaven, special operations commander, at his confirmation hearing last year, Sen. Kelly Ayotte, R-New Hampshire, asked the admiral again: If al Qaeda leader Ayman al-Zawahiri were caught tonight in Pakistan, where would he be placed for long-term detention? "Last year, you said you weren't sure what we would do in that circumstance," Ayotte said. "Has anything changed since then?" "Nothing has changed since then," McRaven responded. The top commander of U.S. forces in the Middle East singled out Iran as the only country actively trying to destabilize and spark violence in the region. "Iran presents the most significant regional threat to stability and security," Gen. James Mattis, head of the U.S. Central Command, said at a Senate Armed Services Committee hearing Tuesday. "Its reckless behavior and bellicose rhetoric have created a high potential for miscalculation."